A natural talent at a young age, Mikael Derderian was surrounded by creativity and design. Far advanced beyond his years, when he wasn't studying within the boundaries of school, he found himself exploring his skills within his parents' workshop. The son of a Canadian-Armenian father and Lebanese mother, who worked together designing as well as manufacturing children's clothing, the blood line of fashion ran thick within the eager young designer. Taking solitude within the sanctuary of his parent's workshop, Mikael Derderian felt very much at home. His imagination sprang to life from tracing patterns, cutting and manipulating fabrics, or even the very first skirt he designed and brought to life. More recently he took a leap of faith and by believing in his personal ability he established his own private label, MIKAEL D. His influential line is based on collections that intertwine myriad cultural influences …The result is accomplished excellence that knows no boundaries, yet with a true sense of identity all its’ own. This is the material of an exacting haute couture ethos and magical vitality coupled with a spur of contemporary energy. His first collection, which featured seven dresses literally "dressed up to the nines", captured both the eye and imagination, in a glorious tribute to the female silhouette. It was an unqualified success. Since then, the designer has expanded his collections and the number of sales outlets across the world. His work continues to glitter in the spotlight, at red carpet events, and gala evenings through a host of celebrities who have chosen to wear the outstanding craftsmanship of MIKAEL D.
Tony Ward, son of a well known couturier based in Beirut, grew up in the effervescent world of Fashion, surrounded by the most beautiful silks and the perfectly cut suits which made his father famous among high society women. At the age of 18, he enrolled in the most prestigious Fashion Design school in Paris, "L'Ecole de la Chambre Syndicale de la Couture Parisienne"After working for seven years with Claude Montana at Lanvin, with Gianfranco Ferré at Christian Dior couture then with Karl Lagerfeld at Chloé, learning the secrets of Haute Couture techniques up to the highest standards, he was ready to launch his own brand. The refined elegance of Tony Ward’s creations is the result of a number of professional steps achieved through a successful talent. After completing his studies in Paris at the best French tailoring school, he worked with the most famous creators: Dominique Morlotti and Claude Montana for Lanvin, Gianfranco Ferré for Dior, Karl Lagerfeld for Chloé. Some years later, in 1995, he returned to his country, Lebanon, to launch his own line of Haute Couture, in a family Atelier with 40 years of success. In his creations the purity of forms and seduction in the material are designed for a sophisticated, feminine woman of aristocratic exquisite simplicity. His finest fabrics, enriched with seductive transparencies and precious original embroideries, are sumptuously worked following to the rules of the purest workmanship. Tony Ward’s collections are a tribute to women and their femininity, with the taste and distinctive charm of a timeless style. 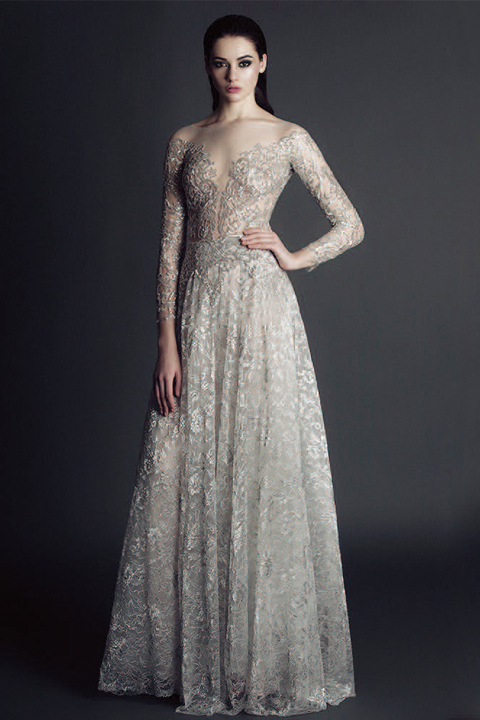 YolanCris, company of Haute-Couture in fashion and accesories for bridal and evening wear. Founded in 2005 by two sisters born in Barcelona, Yolanda (1978) and Cristina (1979). Creative directors of the brand, are the soul of YolanCris. The interest felt by Yolanda and Cristina, sewing and bridal fashion world is from family heritage, their mother, a pioneer in the bridal business, instilled them since they were childs in his passion for work well done and taught them how to feel the magic world of wedding dresses. Some time ago worked at creating their own store wedding dresses as it was not until that year, ending their studies, when they created their first collection and in 2006 they presented it at the Pasarela Gaudi Novias, within the great international fair Barcelona Bridal Week, creating what is now recognized as a leading brand in wedding dresses and evening wear, their impact is both nationally and internationally. With the same force as at the beginning Yolandaand Cristina are still remodeling, modernizing and rebuilding your business personality and creativity, based in their team that accompanies them from the beginning and focusing on the reliability of own production and national quality of handwork, with the added value of the contribution of originality and innovation of new designs, always looking forward, one foot in the present and a strong step forward. Born in Lebanon, Reem Acra studied design in both Paris and New York at the Esmod Ecole de Mode of Design and the Fashion Institute of Technology, respectively, where she acquired several prestigious awards. In 1997, Acra launched her fashion business with a bridal collection that quickly became recognized for its elegance and impeccable designs. This success led to the introduction of the Reem Acra ready-to-wear collection six years later at the New York Fashion Show, where her atelier quickly gained international recognition. The ready-to-wear and bridal collections evoke an ethereal quality, which appeals to a discerning clientele including Celebrities like Taylor Swift, Jennifer Lopez, Angelina Jolie, Halle Berry as well as royal families around the world. British born Georgina Chapman and Keren Craig have built a fashion empire defined by elegant eveningwear and one of a kind couture designs. The duo met at Chelsea College of Art and Design in London. Georgina’s draping and design expertise paired with Keren’s textile creations resulted in a business partnership and the establishment of Marchesa in 2004. With the extravagant and eccentric fashion icon and Italian heiress as their muse, Georgina and Kerens beautifully crafted runway collections and accessories line fuse exquisite detailing with supreme femininity. Coveted not only by celebrities, but by women of all ages, Marchesa continues to be the centerpiece of iconic red carpet moments and high end fashion alike. 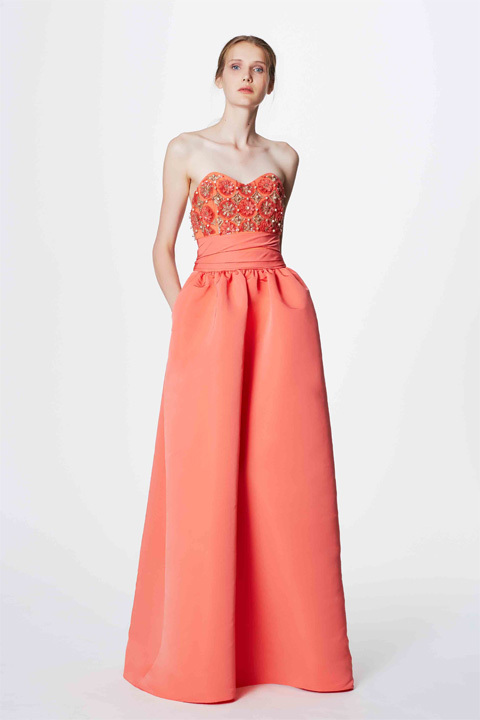 Elegant evening wear, inspired by vintage and Asian influences, defines the Marchesa Collection. The beautifully crafted designs fuse high fashion with an eclectic aesthetic. 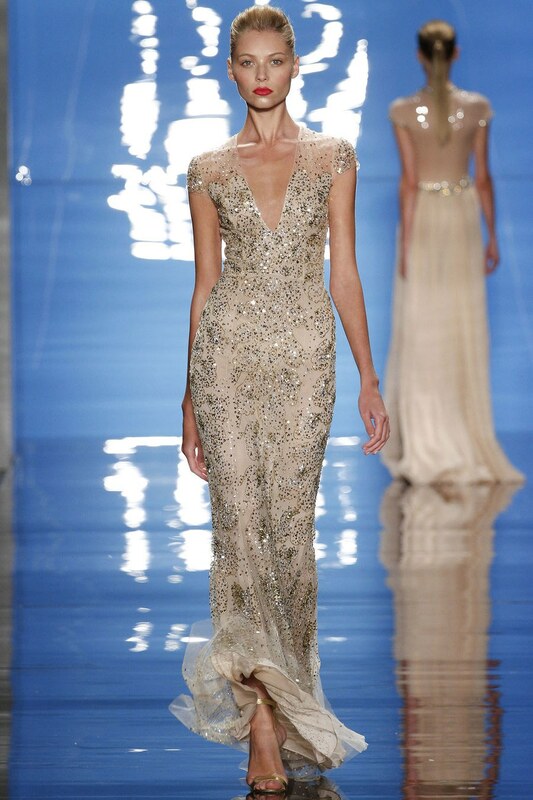 Based in New York, the Marchesa collections are presently available world- wide. Mark Badgley and James Mischka have been hailed by Vogue as one of the "Top 10 American Designers" and as the darlings of the Hollywood set. The design duo has made their mark over the past two decades with glamorous, stylish and wearable evening wear and accessories. Since joining forces in 1988, Badgley Mischka has captivated both the fashion press and prominent retailers around the world with a sophisticated style. Their timeless designs appeal to a range of fashionable women, ranging from presidential daughters to Hollywood award-winners to society brides, such as Madonna, Catherine Zeta Jones, Jennifer Lopez, Sharon Stone, Jennifer Garner, Julia Roberts, Kate Winslet, Taylor Swift, Sarah Jessica Parker and Carrie Underwood. Monique Lhuillier is internationally recognized as one of America’s foremost designers. Established in 1996 by Monique Lhuillier and her husband, Tom Bugbee, the company is considered one of the leading fashion houses in design, quality and creativity. Fans include Emma Stone, Blake Lively, Taylor Swift, Reese Witherspoon, Kristen Bell, Anna Kendrick and the First Lady Michelle Obama among others. Monique’s signature design sensibility has led to the launch of licensed products including fur, fine jewelry and tabletop, transforming the company into a luxury lifestyle brand. Monique Lhuillier products are distributed through Monique Lhuillier stores, premium department stores and finest stores throughout the world. Born in Ireland, educated in South Africa, trained in London, and now based in Hong Kong, Catherine is able to draw on rich cultural references and is always searching for more. In 2005, Catherine established her womenswear label in London, and now offers ready-to-wear, evening gowns, and luxurious bridal collections. Fast becoming a favourite of women around the world, Beyonce, Fergie and Kim Kardashian have already fallen for Catherine’s flattering dresses.